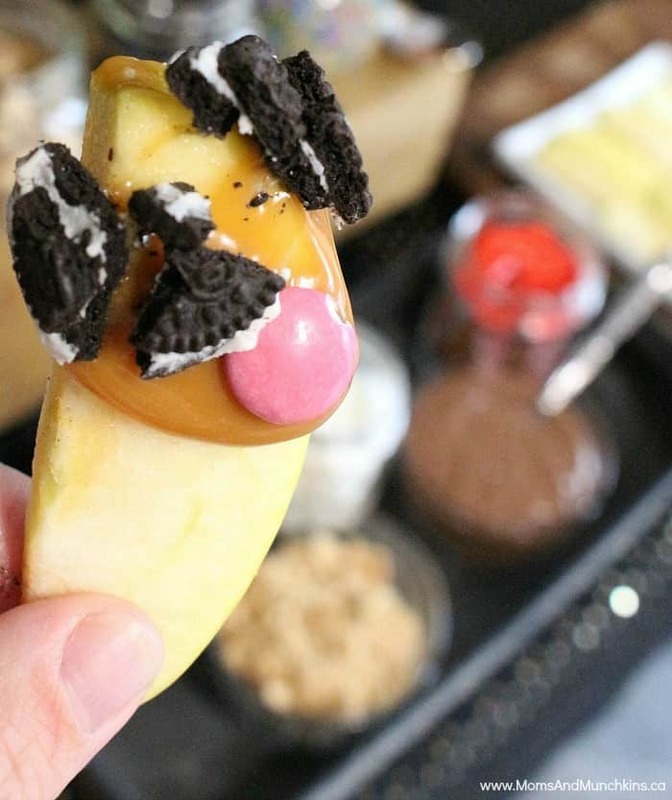 My latest party is now available in Pink Magazine – Caramel Apple Buffet! 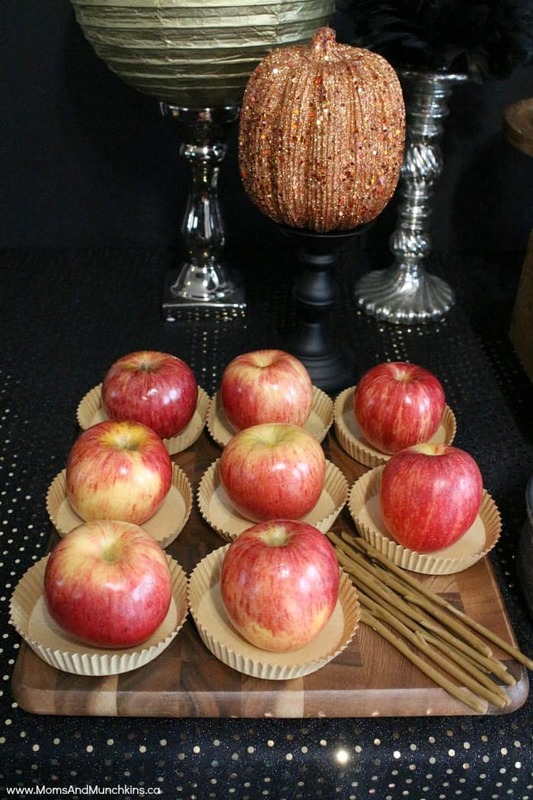 It’s a fun party idea perfect for Halloween and the fall party season. You can view the full article in the magazine for decorating, treats and other ideas. I’ll share all of the party photos with you here to help you brainstorm some ideas for your own party! 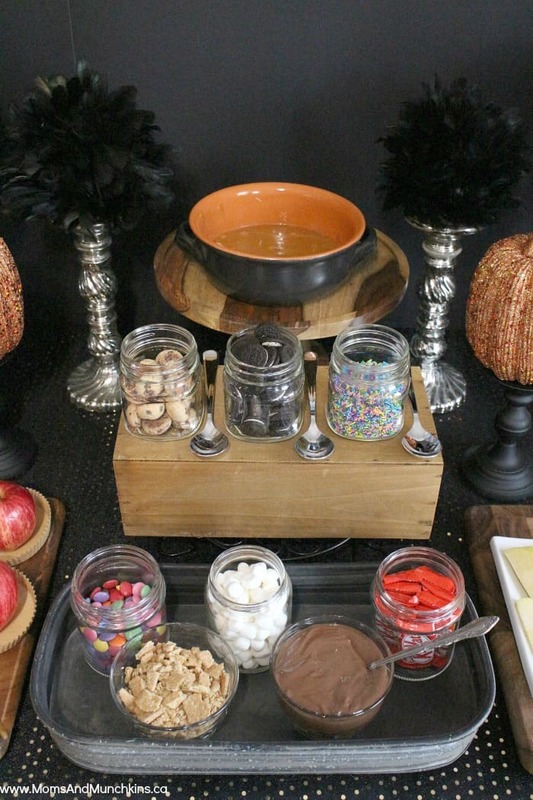 A caramel apple buffet wouldn’t be complete without the caramel! 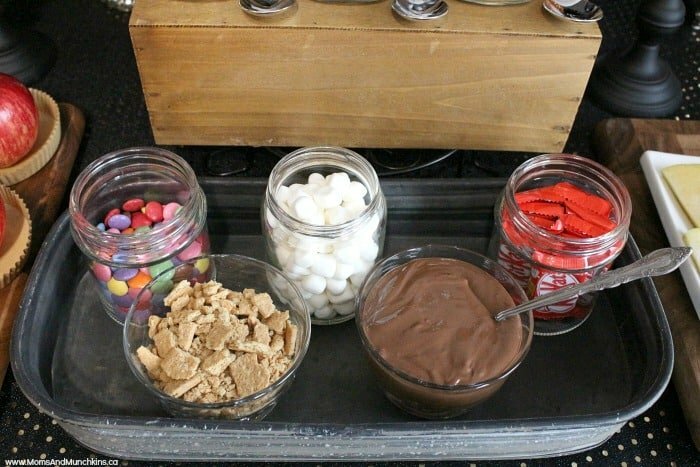 I used the Kraft Caramels for this party but the melted caramel does harden fast so you’ll want to serve it in a bowl that you can easily pop back into the microwave. 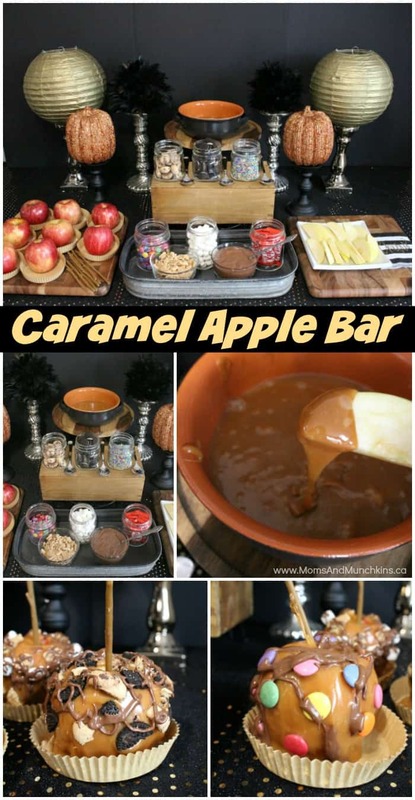 Besides the two obvious ingredients in a Caramel Apple Buffet – caramel and apples – you’ll want a large variety of toppings like crushed cookies, mini marshmallows, chocolate coated candies, sprinkles, chocolate and more. 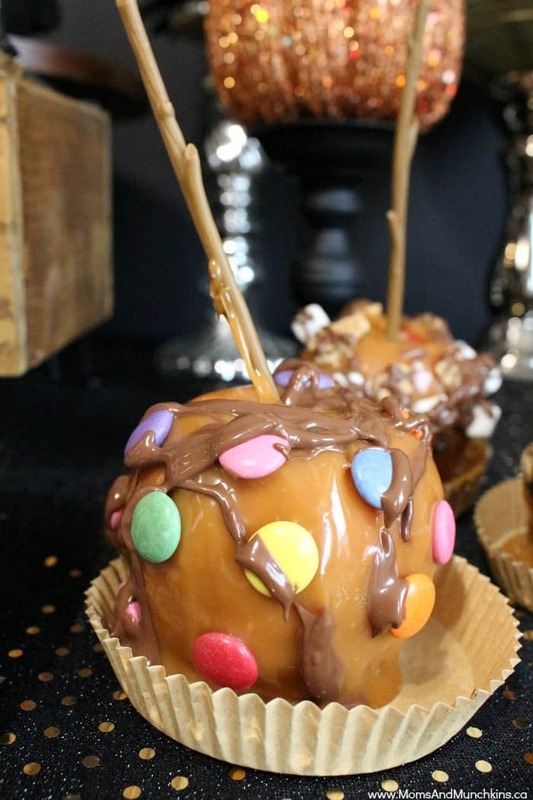 The caramel apples can go home with guests as a party favor so you’ll want a taste testing area in the buffet so guests can enjoy treats at the party too. 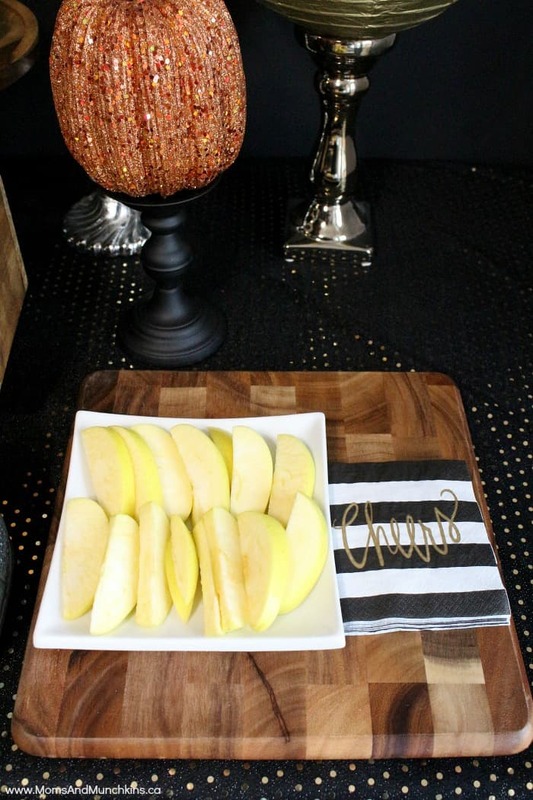 A few sliced apples and plates (to catch the mess) will give guests a chance to try a few different flavor combinations at the party. 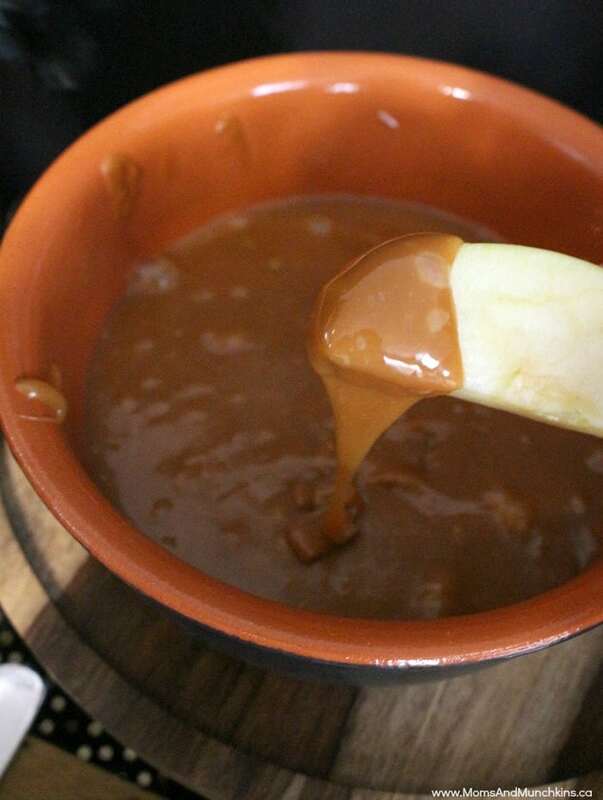 You’ll want plenty of napkins or wet wipes too as the caramel is really sticky. 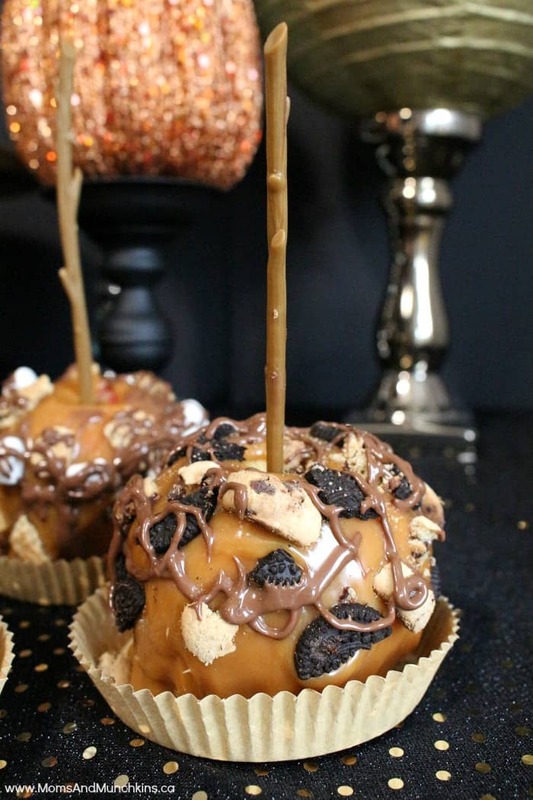 You could print some caramel apple suggestions for your guests to try (S’mores Caramel Apple, Cookie Overload, etc.) or simply leave it all up to their imagination. With all that caramel & candy to choose from, any combination would be delicious! 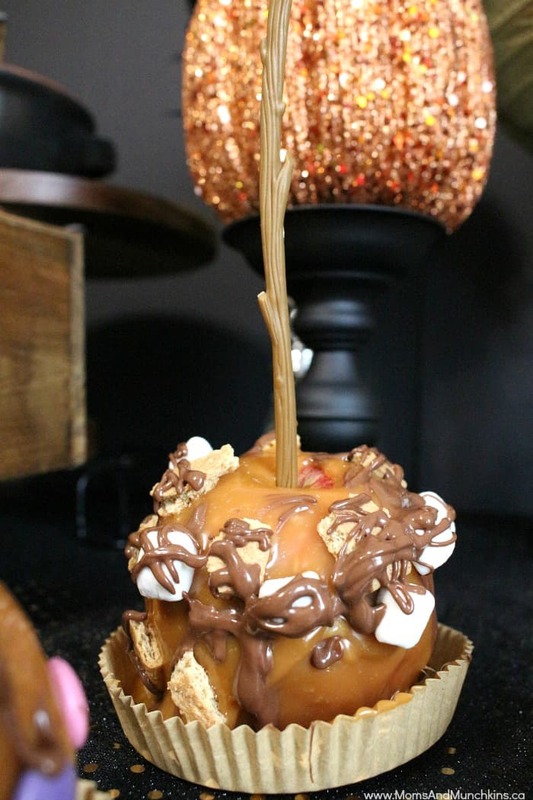 You can read the full Caramel Apple Buffet article in Pink Magazine. For more Halloween ideas, visit our Halloween page. 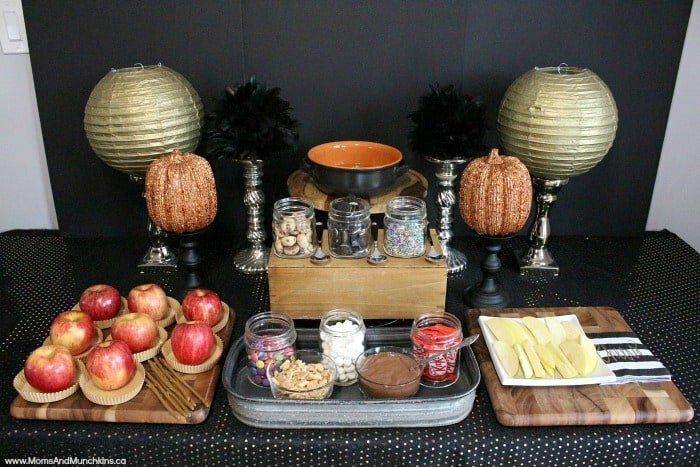 We have more Halloween party ideas, free printable games, creative Halloween treats and party food ideas and more! 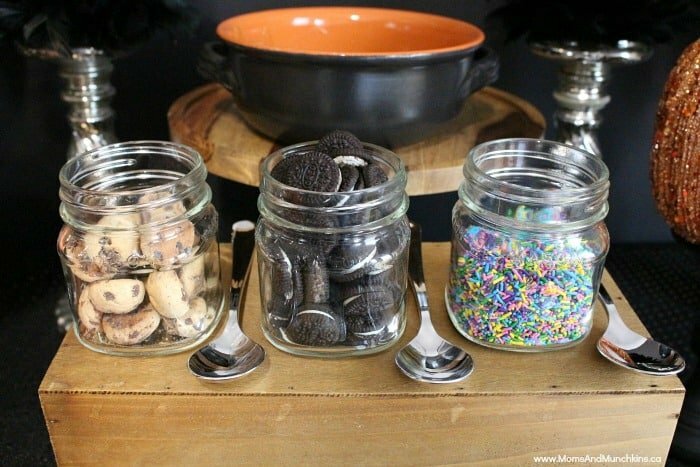 We’re always adding new ideas for parties and recipes. Never miss an update by following us on Facebook, Pinterest, Twitter, and Instagram.